I have been crocheting off and on for probably 50 years and never had an issue with pain in my hand/wrist until recently. I’m sure it’s from overuse of my hand since I’m selling oodles of crochet cloths…hence I’m crocheting for hours every day. In an effort to alleviate the pain, I tried a number of different things from widening my grip with a foam cushion to investing in different hooks and gadgets. The changes helped, but didn’t really do the trick in stopping the pain. Then I finally evaluated why my wrist hurt. The bottom line was my hand position. I took roughly a month to force myself to change my hand position and finally, finally (!!) the pain stopped. Now I can crochet all I need to without issue. No surgery, no special braces, no doctor visits. Take a few minutes to watch my video below as I explain what I did to discover the source of my hand/wrist pain and how I stopped it. You too can do this! 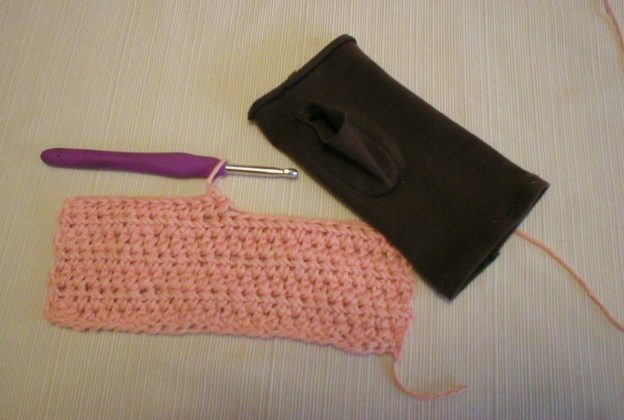 This entry was posted in Crochet and tagged hand wrist pain crochet, hand wrist pain from crocheting, help with crochet pain, how to stop crochet pain, stop crochet pain now, why does my hand wrist hurt from crocheting on May 10, 2016 by Judi.